1. When peace, like a river, attendeth my way, when sorrows like sea billows roll; whatever my lot, thou hast taught me to say, It is well, it is well with my soul. Refrain: It is well with my soul, it is well, it is well with my soul. Thank you for visiting our worship site. 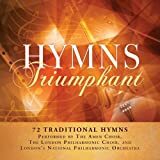 We have brought you these great hymns of the faith so you can worship and grow closer to the Lord. Please tell your friends. There are hundreds of wonderful public domain hymns available free here for your edification. God bless you as you enter His presence.